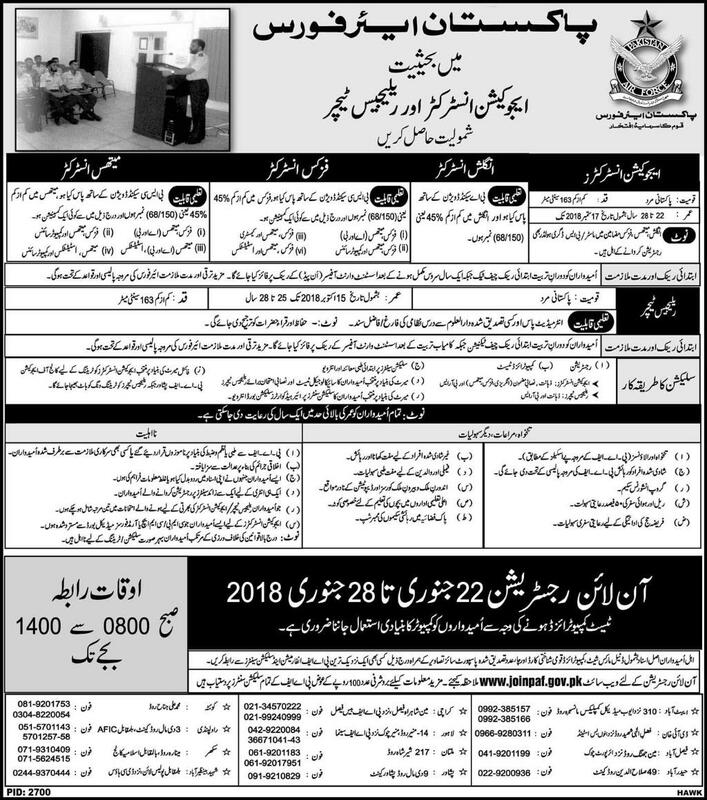 Join Pakistan Air Force (PAF) as Education Instructor and Religious Teacher. A very Good Opportunity for those who are waiting to Serve Pakistan by Joining Pakistan Air Force as Instructor. Pakistan Air Force (PAF) has announced New Instructors Jobs. Jobs titles are English Instructor, Physics Instructor, Math Instructor and Religious Teacher. Candidates can apply online Registration at www.joinpaf.gov.pk. Candidates who have required Qualification may apply for these Latest Government Jobs. Candidates should have Computer Knowledge at some extent as Recruitment test will be online.